Yes, there is truly a holiday for everything. 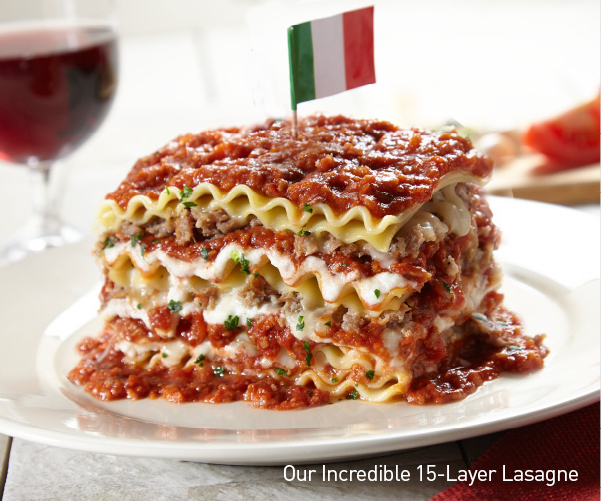 This Friday, July 29th is national Lasagna Day. And to celebrate, Spaghetti Warehouse is offering guests a $6 lasagna meal. The special is good only on Friday July 29th at all Spaghetti Warehouse locations and a coupon is required (either printed or you can show the coupon to the server on your mobile device). Spaghetti Warehouse is located in Ybor Square at 1911 N 13th St, Tampa, FL 33605. For more information check out the Spaghetti Warehouse Facebook page.